Vanessa joined Sail Training International in June 2018. She studied languages at Heriot Watt University before starting a 15 year career in the international book publishing industry. Having worked for a number of different publishing houses, both her first and last positions in publishing were with Dorling Kindersley Books in London, where her last position was that of International Sales Director. Her passion for sailing started after a sailing holiday in Turkey and led to her embarking on a RYA sail training programme and obtaining the RYA Yachtmaster qualification in 2009 . 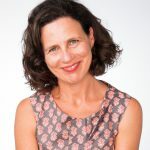 This also led to a change in career and after a few years spent skippering yachts in the Med in the summer and working on freelance publishing contracts in the winters, she re-trained as a Modern Foreign Languages teacher and taught French, Spanish and Italian in Secondary Schools in Dorset for 3 years. In 2015 she joined Ocean Safety Ltd, a marine safety company, and during her 3 years there she significantly contributed to growing their export business. Her position at Sail Training International perfectly brings together Vanessa’s commercial skills and experience, interests and beliefs.